Our private fees are listed below. Please select the relevant section. If you cannot find the fee you are looking for, please ask at reception. The government's contract with GPs covers medical services to NHS patients. However, in recent years more and more organisations have been involving doctors in a wide range of non NHS work. This work is not funded by the government, so GPs have to charge a fee to cover their time and other expenses. With certain limited exceptions, GPs do not have to carry our non-NHS work. Many GPs however will always attempt to assist their patients and carry out this work. Time spent completing forms & preparing reports takes the GP away from the medical care of patients. GPs have an ever increasing workload of forms which must be prioritised against offering appointments and other urgent administration. I only need the GP's signature - what's the problem? Who sets the fees and why do different doctors charge different fees? The BMA suggest fees that may be charged in certain circumstances however these are intended for guidance only. Doctors are not obliged to charge the rates suggested by the BMA and the fee levels will generally reflect the amount of work and time involved. Why do GPs charge for the completion of cremation forms? A deceased person cannot be cremated until the cause of death is definitely known and properly recorded. Before cremation takes place, two certificates must be signed, one by the GP and one by another doctor. The completion of these forms is not part of a doctor's NHS duties and the fees are normally charged to the funeral director who generally passes on the cost to the family. These fees are agreed with the relevant national associations applicable to funeral directors. Death certificates are a separate form and are completed free of charge. What notice is required for the completion of reports & letters? We ask for 4 weeks' notice although many are completed more quickly. Where a patient has an urgent request this should be explained to the receptionist who will note the request. However, it is not always possible for other more clinically urgent work to be delayed. All charges are inclusive of VAT (*), where applicable. Some travel vaccinations are provided free of charge (from your registered GP practice) on the NHS. The following vaccinations are not provided on the NHS, but can be provided on a private basis. This practice is also able to provide a travel vaccine advice & immunisation service to patients not registered at this practice. Please see the "Fees for patients not registered at this practice" section below. The nearest service is at Dronfield Medical Practice, Civic Centre, Dronfield. Patients should ask their employer to write to the surgery with specific questions. 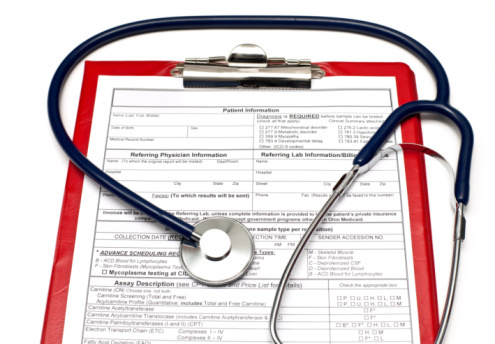 Employers will need to gain written consent from the patient. Adoption fees are normally paid by the parent(s); fostering fees are normally paid by the NHS, but sometimes paid by the adoption / fostering agency. Normally paid for by the insurance company, but occasionally by the patient (check individual policy). Operations & Procedures - these are applicable to clients who are NOT registered patients of The Valleys Medical Partnership. No private consultations or private operations are offered to registered patients. The costs exclude the costs of medicines, laboratory / histology. If you have moved "for a settled purpose" to our practice catchment area from overseas, you may register with the practice as a standard NHS patient. Please ask a member of the reception team for a registration form. If you are visiting the area for a temporary period from overseas, you may be able to receive free treatment. If your treatment is deemed an emergency / immediately necessary by the treating clinician, we will endeavour to see you as soon as possible. However, should you require treatment at a hospital, they may make a charge. If you require medication, this will be issued on an NHS prescription (chargeable at the pharmacy). If your treatment is not immediately necessary, you may be given treatment, but this is at the discretion of the GP on duty. Due to capacity issues, you may be asked to source treatment from elsewhere, such as local pharmacies, walk in centres, or accident & emergency if appropriate.